This year’s Korean Derby winner Ecton Blade returns to his home-track of Busan this Sunday as the colt drops back in trip to contest the class 1 feature handicap over 1400M. It’s the highlight of a 6-race Sunday card at Busan while up in Seoul there are a further 11 races. Up at Seoul the most valuable race of the day is a six-furlongs test exclusively for juvenile graduates of the Jeju Breeze-up Sales. 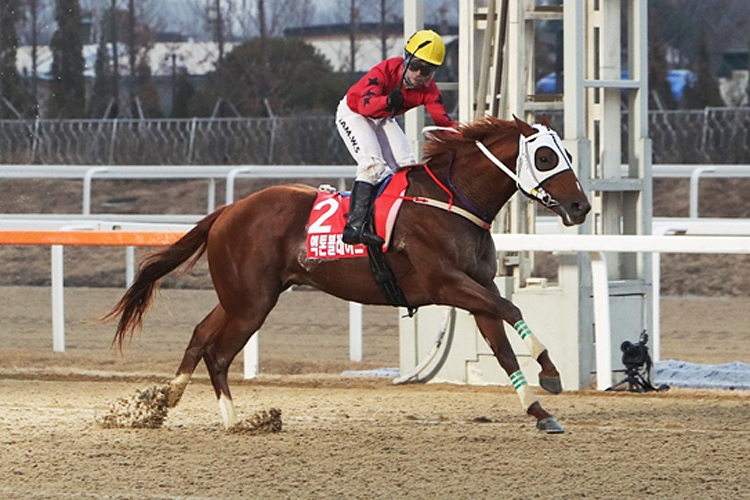 A field of eight will go to post and there is set to be a hot favorite in the shape of first-time starter Gyoryong Unu. The Limitless Bid colt trialed up impressively and is expected to have too much for a field which contains just two horses with prior racing experience.